Praxis Skis and The League to Save Lake Tahoe have come together to bring you a special edition Keep Tahoe Blue ski. 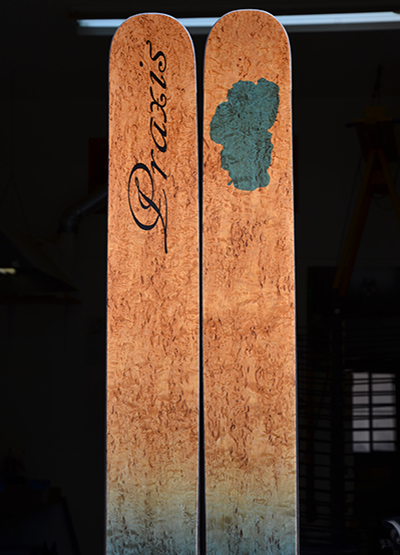 The skis feature custom artwork, and will be printed on an eco-friendly wood veneer top. They are available for a limited time in this special edition offering. Praxis Skis generous donation to the League to Save Lake Tahoe provides the right to make only 50 pair of these limited edition skis! The Keep Tahoe Blue artwork will be printed onto a unique one of a kind wood veneer top and available to put on any of our ski models. Hurry only 50 pair will be available. Show your support to Keep Tahoe Blue and promote your love for Lake Tahoe as you ride the lifts and slash turns down our powder filled mountains. 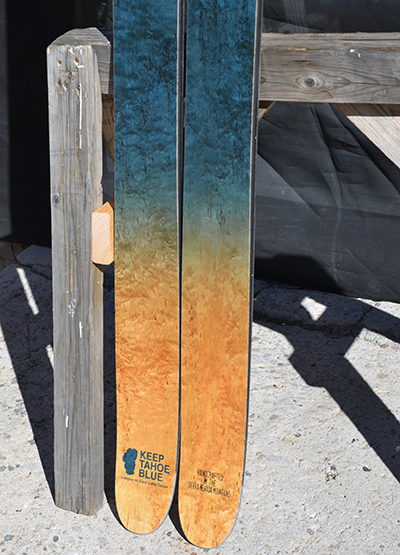 We have 20 different ski models to select from for your custom Keep Tahoe Blue Praxis Skis. Your skis will be made custom to order! Please contact us if you have any questions or for help on deciding ski choice will be best for you. We are readily available and happy to help. The League to Save Lake Tahoe, also known by the slogan “Keep Tahoe Blue,” is Tahoe's oldest and largest nonprofit environmental advocacy organization. Founded in 1957, the League is dedicated to community engagement and education, and collaborating to find solutions to Tahoe's environmental challenges. The League's main campaigns include combating pollution, promoting restoration, tackling invasive species and protecting Tahoe's shoreline. Learn more at www.keeptahoeblue.org.